Five children from Western Highlands have been diagnosed with heart problems that require immediate surgery to correct them. They will be sent to Port Moresby General Hospital for local heart specialists to conduct the surgeries. 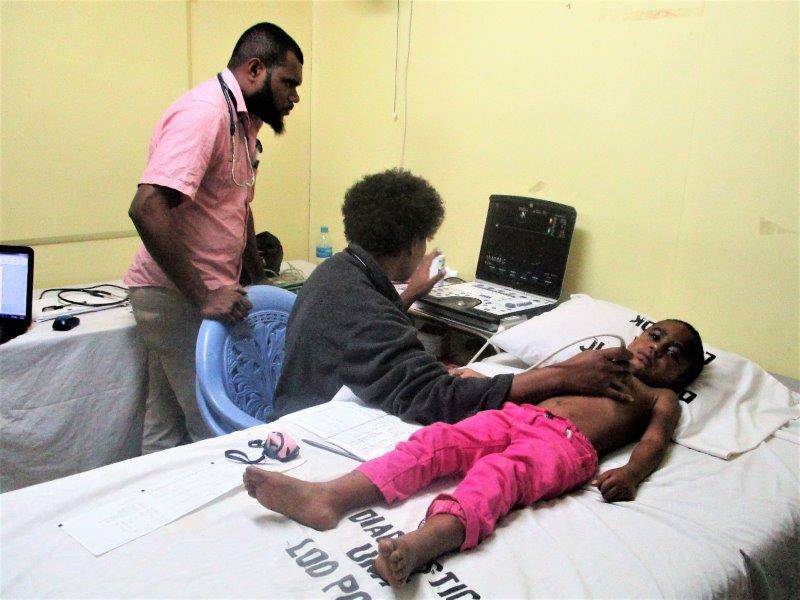 The children are among more than 40 who had been screened at the Mt Hagen Hospital Loo Pok Heart Clinic on 14th and 15th June 2018 by Dr Cornelia Kilalang, a Paediatric Heart Specialist from the Port Moresby General Hospital. Dr Kilalang was on her annual visit to the Highlands to check children with heart problems when she discovered and referred these children, all girls aged from eight months to 13 years, for immediate surgery. She had also referred five other children to the Angau Memorial Hospital in Lae for further screening to determine if they would require surgery as well. The five children and their parents left for Lae on Saturday, 23rd June, to see the specialist on 25th June, accompanied by a nursing officer. 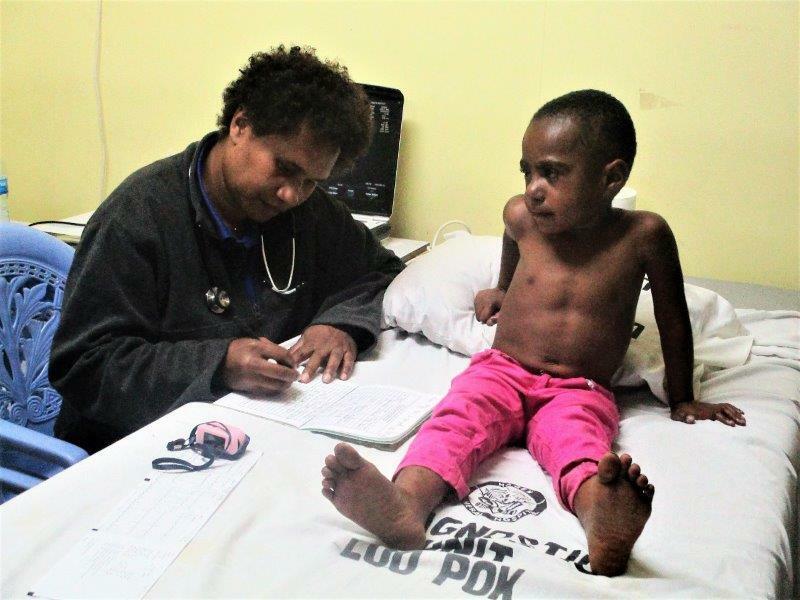 Depending on the results, they would all return to Mt Hagen and those referred for surgery would join others for the annual Operation Open Heart to be conducted in August in Port Moresby by local doctors and visiting doctors from Australia. 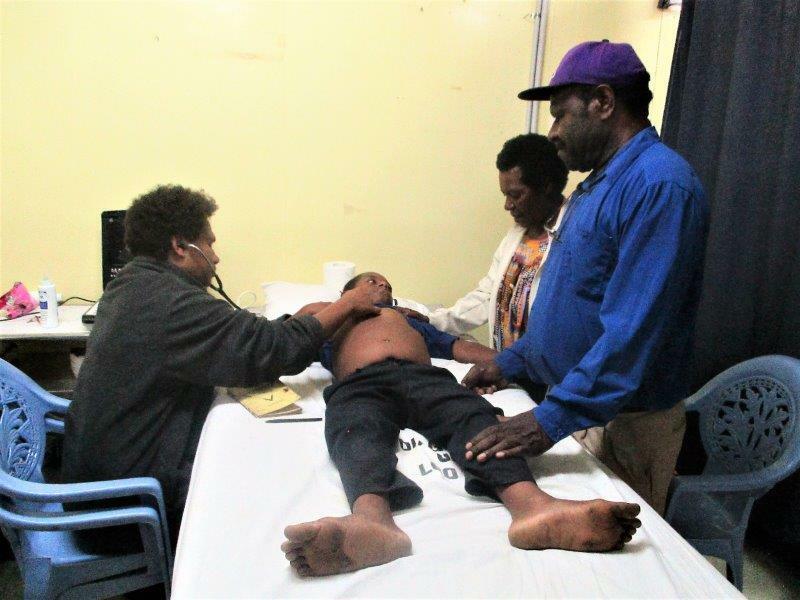 Mt Hagen-based Tininga Group of Companies has again assisted the Western Highlands Provincial Health Authority (WHPHA) with funds to pay for airline tickets, bus fares and accommodation for the children and their guardians to travel to Lae and Port Moresby for further screening and surgery. Acting Chief Executive Officer of the WHPHA, Mr David Vorst has expressed his sincere thanks and appreciation to the owners of Tininga, Pat and Margie Duckworth for their continued support to help save children with heart problems. Dr Cornelia Kilalang checks a child’s heart as a medical registrar watches closely. The child sits up as Dr Kilalang notes her findings in his clinical book. Dr Kilalang examines another child as his mother and Nursing Officer, John Umba comfort him.